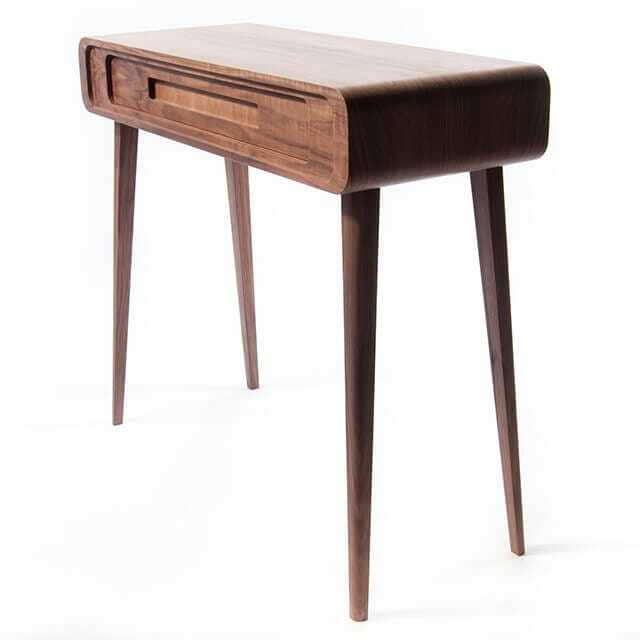 This sleek retro-inspired console table is what you might call an heirloom-to-be. This sleek retro-inspired console table is what you might call an heirloom-to-be. An original piece in solid timber and veneer, it embodies superb craftsmanship and is worth treasuring for future generations. Originally created for a commission using computer-aided design (CAD), the Lunar features a ‘telescopic’ front design carefully made from a single piece of timber to highlight the wood’s natural grain pattern. The veneer wraps right round the top and sides to give a seamlessly smooth finish and emphasise the futuristic shape. 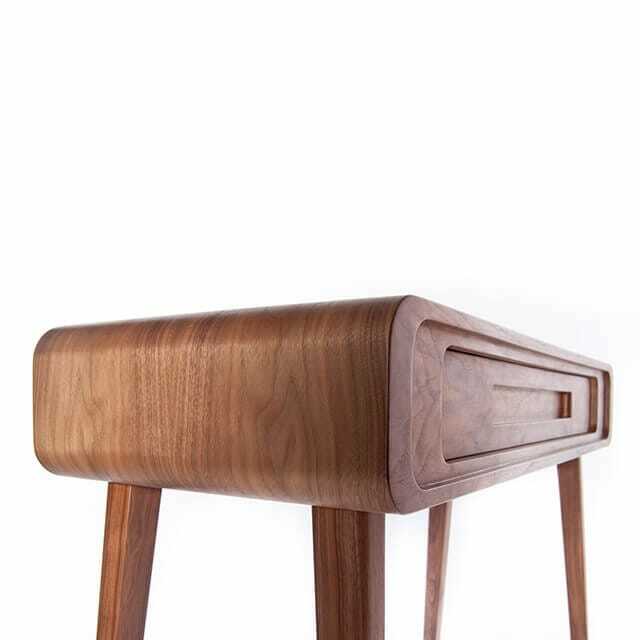 The console has a single curved drawer with indented handle and the legs are removable to make it easier to transport. They also come in shorter lengths if you’d prefer to use it as a coffee table.